A now “popular” shotgun start got all contestants in at approximately the same time with few delays, look forward to “Saturday Only” shotgun starts in the future. For a full list of results by flight and start times, please click… Tanneberger Results. 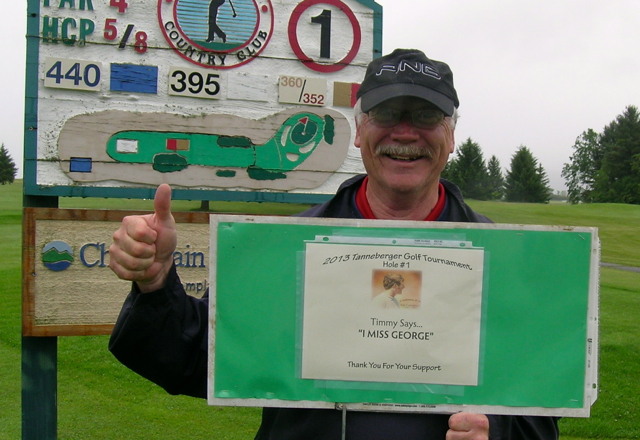 Here is a photo of our most recent Tanneberger Hole Sponsor, do you think George “misses” Timmy?